Mobile technology for dairies is changing fast. Kinnek explores how to expand your dairy farming business using that technology. In the third installment of our series on how to expand your dairy business, we look at the impact mobile technology is having on dairy farms today. From purchasing new equipment to managing livestock, mobile technology for dairies is helping farmers to access real-time data more quickly and easily than ever before. 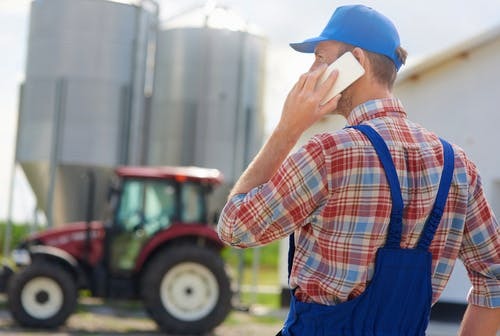 With smartphones enabling farm operations to be handled remotely, there's never been a better time to think about how to expand your dairy business using mobile technology. The mobile technology field is expanding fast as businesses look to digitize and analyze data about their operations more easily than they could ten years ago. In the case of dairy farms, many apps and digitally-enabled items of equipment can make all the difference for a farmer looking to save resources, time or money to plough back into business expansion. Why mobile technology in particular?With farmers typically out of reach of a desktop computer for most of the day, mobile technology is the place to start. In fact, a study conducted in 2011 revealed 94% of US farmers owned a smartphone - a 40% increase in smartphone adoption rates among American farmers over 2010. The resulting boom in apps available on smartphones for farmers means dairy farmers, whose operations typically span a range of equipment and locations, are especially well-placed to take advantage of that technology. 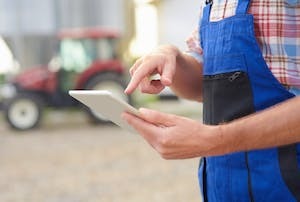 Mobile apps can either be downloaded individually to a farmer's smartphone or connected to a specific piece of farm machinery using wifi or bluetooth. A farm can then control that machine remotely via that same technology or GPS as well as uploading or downloading data regardless of their location or the time of day. One added benefit of all this technology to dairy farmers is that the types of data tracked on a mobile device can also extend to the health of your cows and crops, the weather and beyond! Apps now enhance and provide new types of information about a dairy farm's operations, which can be especially important if your goal is to grow the business. As we've just seen, mobile technology is especially useful if you're considering expanding your dairy business. That's because it allows you to gather, process and act on data much faster than manual observation. Marlane Williams of MarGold Farm in Missouri is one farmer who's seen the benefits of implementing mobile technology into her dairy farm's operations. Marlene uses an app on her smartphone to check the gauges on a newly-installed automated milking machine that helps tend to the farm's 60-cow-herd. "I know more what's going on with each cow as opposed to saying, 'I gotta get the chores done, I gotta get the milking done' where I've got to try and squeeze everything into a 24-hour-period," explains Williams. The machine allows Williams to manage the entire herd remotely, feed and milk the cows before bottling and cold-storing the milk so it's ready for pick-up. Since the app is also connected to the machine that monitors the health of each cow, it allows her to keep an eye on any medical conditions in the herd. That data alone can help her maximize output and profit, in turn supporting expansion. With a wealth of smartphone apps now available like Daily Dairy Report and DairyCents, it's hard to know where to start. The answer to that question lies with your business. Determine what your key goals are and what kinds of data you'll need to inform those goals. If your goals are to expand your dairy business then you'll also need to know which of those goals and data will be the most crucial to shifting the needle. Whether it's information about the dairy industry, up-to-the minute commodity prices or data on how to blend your own custom feed, you can be sure there's already a mobile app to do it. Finding the ones that are right for your business starts with a closer look under the hood to see how your operation works (and doesn't). As the world of mobile technology continues to grow, dairy farmers need to get smart about what the right data is for them. If your farm is about to enter expansion mode, hunting for the right app will be a function of what data will support or measure that growth. One thing's for sure, that data is out there, right in the palm of your hand. As your dairy business expands, Kinnek is dedicated to giving you an efficient, cost effective way to buy equipment and supplies. Visit us today to find suppliers, do some research or even get free quotes! In the second part of our series on how to expand your dairy business, we explore the latest innovations in energy management for your dairy operations and equipment. In the first part of our series on how to expand your dairy business, we explore the role of packaging and how this ties in to your business marketing goals.